It’s difficult to trust Joe Philbin against Bill Belichick. It’s time to reveal my prediction for Sunday’s game between the Miami Dolphins and New England Patriots. I’ve included picks from experts in the media as well. I also encourage each of you post your prediction for the game in the comments section. Despite the majority of pundits almost unanimously picking the Patriots to win this game, I don’t think it’s as lopsided of a matchup as most are making it out to be. The Patriots’ lore has made them the overwhelming favorite. It’s the triumphs of past New England teams that has so many so confident that they’ll return to their seemingly invincible ways anytime now. But when I watch the 2013 New England Patriots, I see a beatable team. I see a team that could easily be 3-4 at the moment if they had not pulled out wins in games they arguably should have lost. And I see them facing a talented Dolphins squad on Sunday. I think Miami will be able to pressure Tom Brady throughout, which is always the formula for upsetting the Patriots. I also think they’ll be able to run the football on a New England front seven that will be without three of its best run defenders. I see a Dolphins team that has the personnel to beat the Patriots. But when I look over to the sidelines, I see where the mismatch lies. 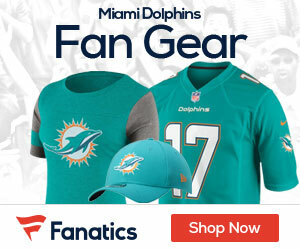 The Dolphins’ coaching staff, led by head coach Joe Philbin, has not maximized the talent of this year’s team. There’s no way to sugar coat that. Is the staff a lost cause? Not necessarily. It’s still relatively early in the Philbin era, which means there is plenty of time to right the ship. But when I look at who has been playing and who hasn’t’ — ex: Olivier Vernon and Derrick Shelby over Dion Jordan at defensive end and Daniel Thomas over Lamar Miller at running back — and errors in judgement like the improper use of timeouts and wasting a down by spiking the football with plenty of time to play, it’s difficult to trust Philbin and company versus the great Bill Belichick. Belichick will be highly motivated this week after losing to the Jets this past Sunday. And for as talented as the Dolphins are, they are clearly a flawed team. Belichick knows this, and he’ll scheme to expose said flaws. I wanted to pick the Dolphins, but I can’t pick Philbin over Belichick. At least not until I see more from the second-year head coach. Alright, let’s see your predictions. Post your final score for Sunday’s game in the comments section. PATS 41 FISH 0!!!!! LOL FIRE THE CIRCUS IRELAND AND PHILBIN ROSS!!!! If you don’t believe be a new England fan up set dolphin’s 28-England 20 go dolphin’s book it…..